On the Way has now extended to include the 11-14s age group. Six books take this older and more sophisticated age group through a variety of topics and studies. Challenging and intellectually stimulating this is the obvious 'next stage' for the 11-14 year old class. With less of a focus on craft there is now more focus on hard hitting issues with group discussion times. 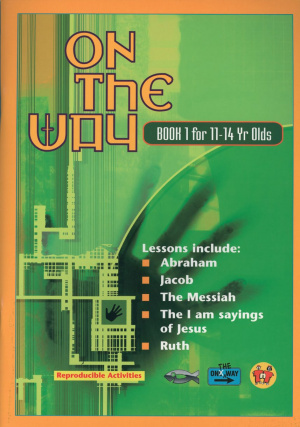 An excellent resource to help young people think for themselves in a Biblical way. On the Way 11-14's by TNT Ministries was published by Christian Focus Publications in September 2002 and is our 15035th best seller. The ISBN for On the Way 11-14's is 9781857927047. Be the first to review On the Way 11-14's ! Got a question? No problem! Just click here to ask us about On the Way 11-14's .